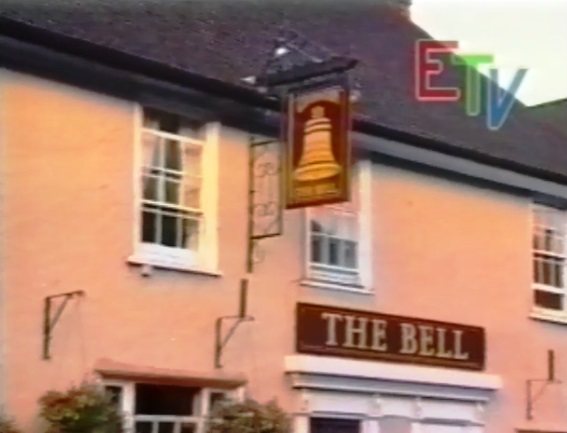 A recording of The Bell Inn’s annual hanging of the hot cross bun ceremony, this one from 1991. The clip starts with an introduction to the ceremony, with the then landlord John Vereker explaining its history. This is followed by a recording made of the ceremony itself (from 01:40), when the son of the oldest man in the village had to hang the bun on behalf of his father, who could not make it out to the pub. The ceremony does not change much from year to year; how about the background noise? This recording is an excerpt from an EastWard Hospital TV programme, “Mysterious Essex”, broadcast in 1991. It was digitised from a VHS cassette. You can view the whole programme at the Essex Record Office. The image of The Bell Inn is from a still image from the programme.